Having a low iron intake in an ordinary diet or replacing breast milk with cow's milk can trigger iron-deficiency anemia in children. Find out how to recognize it. Iron-deficiency anemia in children is a condition that comes from a deficiency in iron. 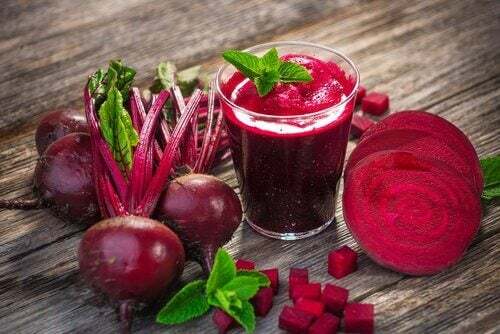 This mineral is an essential part of hemoglobin, a protein responsible for transporting oxygen in the blood to keep your body’s tissues functioning optimally. 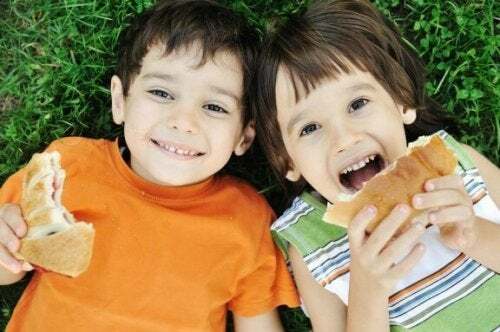 This disease is common in children between 6 months and 3 years old, especially when they don’t receive good nutrition. However, it also affects older children and is often a frequent reason for pediatric consultations. What are its causes, and how does it manifest? To answer these questions, it’s essential to address the most relevant aspects of the disease. That’s why we want to review its main triggers and the symptoms that will allow you to recognize it in a timely manner. Why Does Iron Deficiency Anemia Occur in Children? 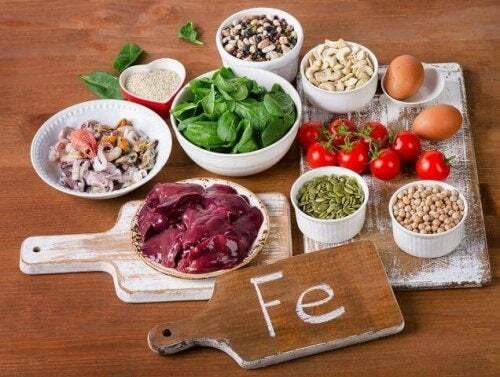 Low absorption of iron is the main cause of iron deficiency anemia in children. The body gets this mineral through food, and it also recycles it from old red blood cells. In its initial stages, the disease usually does not cause clear symptoms. This situation makes it difficult to treat, because the iron level and blood counts can continue to decrease. Poor weight gain and small size. To diagnose iron deficiency anemia in children, the doctor performs a physical assessment and an examination. Then, s/he takes a sample of blood that he sends to the laboratory for analysis. This test lets the doctor know if the red blood cells are iron deficient. Hematocrit: This can detect anemia and other blood disorders. Serum ferritin analysis: This reveals the amount of iron stored in the body. Serum iron analysis: This shows how much of this element is in the blood. Total iron binding capacity (TIBC): This is used to measure the ability of a protein called transferrin to carry iron in the blood. There are two basic measures you can take to prevent this type of disease: nutrition and medical check-ups. However, in any case, parents play a very important role, as they are the ones who ensure that the child is cared for. Whenever possible, children should drink breast milk until they are 6 months old. Although some dismiss it, this food allows for a better absorption of iron and is key to the immune system’s development. If the child is not able to drink the mother’s milk, the supplement you chose must be enriched with iron. From 5 or 6 months old, more nutrients can be provided through fruits, vegetables and lean meats. Avoid giving them cow’s milk before they’re 12 months old. When the child is older, a balanced and varied diet should be enough to obtain the correct iron values. Any appearance of iron deficiency anemia in a child should be attended to by a pediatrician. Similarly, if the child has any risk factors or history, he should receive consistent medical check-ups. Due to their age and development process, children only absorb a small amount of the iron they consume. Therefore, to obtain the necessary amount (about 8 or 10 mg a day), it’s important to incorporate foods that contain iron into their diet. When healthy eating does not do much to treat low iron and anemia, the doctor may suggest that your child take iron supplements orally. Under no circumstances should iron or vitamin supplements be administered without the supervision of the pediatrician. Not treating your child early enough for iron-deficiency anemia can interfere with their learning and development process. Having a low level of iron reduces their capacity to pay attention and be alert. Therefore, addressing any of its symptoms in a timely manner is crucial so you can prevent these problems.